So, the equipment on board was a mixed bag of camcorders and DSLRs. They were shooting on Sony PWM-EX1R, Sony PWM-EX3 and Canon DSLRs, as in Canon 60D, 550D, 600D and 7D. To get the footage to match was a real challenge, and quality output has been an ongoing problem. The channel shoots regularly commercials, shows and events. As you might know, I have a DSLR background so that is where I feel I am pretty strong at. I decided to opt for both Panasonic and Nikon, namely GH2, GH3, D5200 and D7200. I have chosen the GH line for its superb sharpness and the “real” feeling that comes with it. On the other side the new Nikon were chosen for their “filmic” quality, great dynamic range and color. Both the GH3 and the D7200 had to come on board because of their audio output monitoring facilities, crucial during regular TV work; else I would have opted for the cheapest sisters, the GH2 and the D5200. 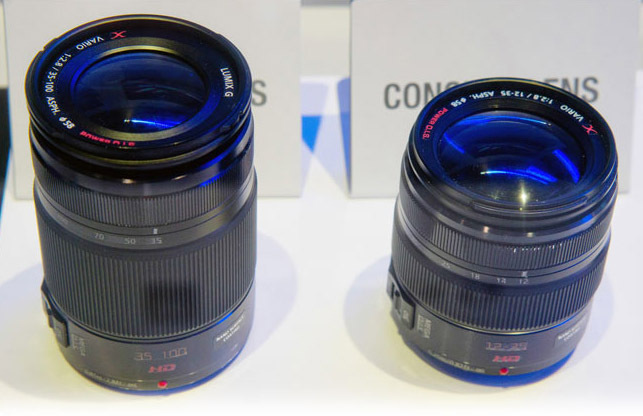 As far as the lenses go, I went for the Panasonic X lenses, meaning both the 12-35 f2.8 and the 35-100 f2.8. Mounted on a proper rig they deliver a great deal in terms of auto-focus speed and image stabilization. A bit overpriced for what they are, but definitely the best choice in the current Panasonic line. For the Nikon, I have also ordered the purchase of the 28-70mm f2.8D AF-S Zoom; you can find great second hand deals and this zoom is as fast as you can get at constant aperture. The new Toshiba sensor employed by Nikon for the D5200 and the D7100 does a great job up to ISO 3200, so the f2.8 aperture would be OK for night stuff. A faster lens would be even better, say f1.8 or so, but there are none in the current Nikon line. I feel that the built of Nikon Zooms are no match to the Panasonic X line, but these are lighter and have in lens O.I.S image stabilization. Nikon has some V.R. lenses too, same concept, thus it’s difficult to get a 2nd hand deal on those. Also, the great stuff about this Nikon zoom is that it can be operated both in manual mode and in auto mode… and it covers full frame, so it’s a worthy investment for any future set-up! Other lenses on board were the always worthy Nikon Ai, the Zeiss Contax G and the Mamiya 645. These give me a great degree of choice when it comes to commercial shooting, or particular studio shows. Each lens has its strength, the Nikon Ai are very filmic and work well under controlled lighting, not so well on run and gun settings because of their poor coating. The Contax G are just stunning lenses,and a references for all lenses when it comes to sharpness corner to corner and resolution. The Mamiya are sharp as hell, and really help out against the softness of the D5200 and D7100, albeit more generous in contrast than the other lenses in the race…. but super nice focus throw being medium format, and faster than Hasselblad’s. The Leica Elmarit would be among my favorites, but they comes at a premium price, and for the money I rather have more sets than just stick to one. Further down the road I might opt for the purchase of proper video cameras. Perhaps the Canon C100 comes in mind first, it’s a bit too expensive for what it is…. like all the Canon stuff, but it’s a great little camera. Although you can rig your DSLR, there is no true substitute for the real deal when it comes to fast TV work. One thing for all, the built in ND and the camera balance, in more than one occasion they come in super handy. Also there is no fiddling with menus and sub-menus on video camera, just quick button levers, click…. and when you are running and gunning, that is just want you want ! The images coming out from these cameras are softer than the GH2, but they sharp very well in post, more than any camera I had the pleasure to work with so far. The problem of this sensor, as pointed out many times in different forums, is its fixed pattern noise (sometimes called FPN). That is rather annoying, and as I write Nikon has not sorted out the problem. Will they ever provide a fix? I do not know. It’s there even at ISO 100, on underexposed areas… and it’s not as pleasant as film-like grain. The good news is that Neat Video plug-in ( I use AE and Premiere version) is capable of getting rid of it almost entirely, but as you might know this is also CPU intensive work… and time. I had a chance to play with the D800, it’s definitely a better camera overall, but it’s twice the price. What can I say of the Nikons? Well, first thing, for video work, I do not see super strong reasons to go for the D7100, unless you need an audio out. You might not need it at all if you are using an external video recorder and are willing to sync in post. For film work this is really no brainier, for TV work I would opt for the fastest and easiest workflow. I found the D7100 to be sharper than the D5200, by how much I cannot really point my finger at, but the removal of the low pass filter was beneficial resolution-wise. The good news is that I could not see added moiré, aliasing or other issues. It looks pretty neat to me. Motion is filmic as well and the codec does a hell of a job for the low bit-rate the camera is working on. The D7100 has a better LCD screen, but it’s fixed… so no swivel as the D5200, and that is very useful for video work. It is a better build camera, feels nicer in hand but it’s a bit hard to motivate the price difference for bare video work. 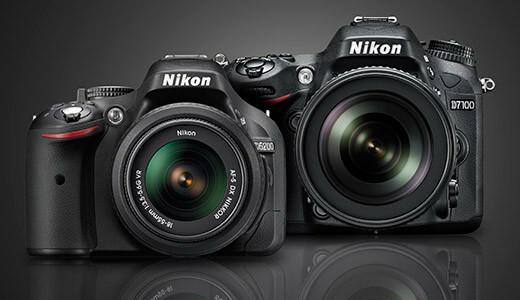 The D5200 is a bargain at the $700 price point, period. Also I found the D7100 more complicated to use, I had to open the manual and read on and on (it’s not the most user friendly manual too), and I never do that! Dear Nikon, if you hear me, I say too much non-sense. Now, let’s talk of the GH3. It’s difficult to source one for starters; it took me three weeks before it came through the door. Better built than the GH2, not at Nikon D7100 level (note: remember that they run for the same money, around $1300 at the time of writing) but nicer than its predecessor in terms of design and materials. Some buttons do not feel entirely spot-on when pressed, but nothing major to report. Well, the Nikon are more in Canon’s style, the Panasonic have they own design; they tend to be more vintage looking if you see what I mean. The GH3 is definitely an improvement in many areas over the GH2, the battery lasts longer, the hack is pretty much implemented, the LCD and the EVF are nicer, the body is weather sealed and the low light performances are improved (thus not at Nikon’s level). Resolution wise you can check the numerous test, to cut the long story short the hacked GH2 holds its own in terms of sharpness. Shame the GH3 has go no way to tweak the color curves, the Nikon go log-like just by turning the contrast all the way down. A bit stupid as well that the GH3 sensor is no longer 1.86x but 2.0x in 35mm format. I know that you might ask yourself if it’s worth to do the upgrade. Well, again, it depends on how many of the following answers you are ticking positively. If you need audio output, yes. If you need a camera with built-in higher bit rates, yes. If you need a weather sealed camera, yes. If the underexposed area mosquito noise of the Gh2 bothered you, yes. If the rolling shutter of the GH2 was getting to your nerves when handheld, yes again. Dynamic range and low light performances are not that much improved, but better. So…. it is worth the money? Your call. You stated that “You never read the manual”. I find this disconcerning because, how can you ever know, and or utilize the full capabilities provided by your gear unless you atleast give the User Manual a once over? It works for me after many years passed on cameras, I can operate the new camera in video mode without getting crazy around manuals. Photos are a different story. However further down the road, once well accustomed to the menu system, a give a full read to the manual to find out more and work out the extras. Apologies if that discerned you, happy for people that follow a different approach. Thanks for the awesome post, there was some great information in there. I am actually looking to pick up a GH3 or D7100 right now, trying to decide between them. Have you had an opportunity to use the clean HDMI out of the D7100 or the GH3 to an external recorded. That would be the majority of my shooting over the internal codec. What are your thoughts? thanks for stopping by. Happy to help as much as I can. I guess it’s down to the signal being still 4:2:0 and 8 bit over HDMI. My thoughts is that right now you might look at the 5dmkIII and its raw benefits out of the Magic Lantern… it’s quite a game changer. Although the price tag is pretty much double, even taking into account a Black Magic external recorder on top of the GH3 or 7100. From my research I was under the impression the HDMI out will do a clean 8 bit 4:2:2 just like the D5200. I have seen mixed reports on this topic on some sites where its actually 4:2:0 but its been wrapped in 4:2:2 and Nikon will claim it so. But I have seen some people test with the Ninja 2 and say its actually a clean out. I am posting some questions out there to get it confirmed because that it the main reason to purchase it. Yeah, thanks for taking the time to write this! Actually, based on it I took the plunge and bought the 7100. Was waiting for a D400 but it never happened. Never tried the HDMI myself on an external recorder. It’s indeed clean on a monitor, but I cannot find any mention regarding the 4:2:2 on the manual? would they not confirm on the manual? I guess that what happens here is that people get mixed up with the output format of those external recorders. Yeah, they do make it hard on us being vague on how they describe it. The best that we can do is have people that have tested and graded it and take their word for it, that is actually 4:2:2. Please report back for the saje of the community.